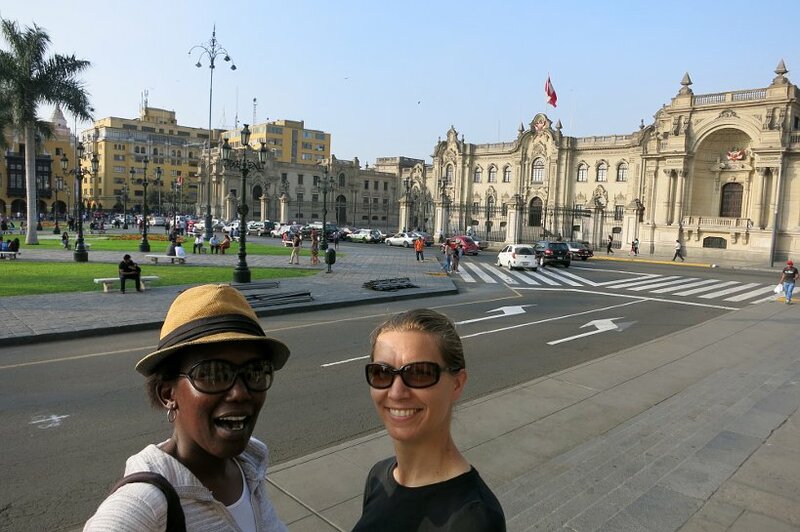 We are currently in Lima, the capital of Peru, our last stop in South America, on our quest for authentic food. We decided to end our trip in the Gastronomy Capital of South America, discovering Peruvian Ceviche and more Peruvian food. Lima is a very interesting city and it reminds us a lot of Los Angeles. It is a huge city with one third of of the population of Peru living in the metropolitan area. The city is spread out and subdivided into 43 different distritos (districts). Like Los Angeles, the climate is very similar and it hardly ever rains. In Lima you will find an incredible waterfront with gorgeous sunsets along the Pacific Ocean. The historic city center of Lima is the colonial capital of Peru, that was founded by Spanish conquistador Francisco Pizarro in 1535. The historical center was declared a World Heritage Site by UNESCO in 1988 and and a “Cultural Patrimony of Humanity” in 1996. 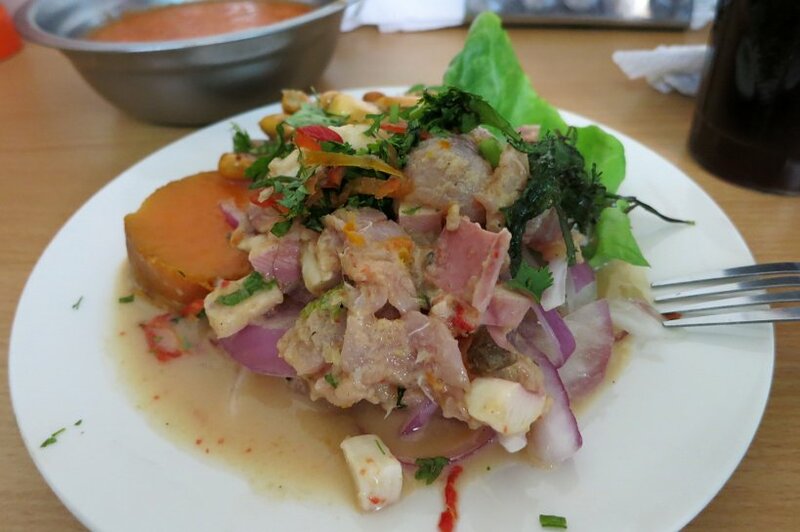 Ceviche in Peru is often considered as Lima’s dish of the city. And sometimes as Peru’s favorite dish. The Peruvian government created National Ceviche Day in 2008 to honor Ceviche as part of Peru’s national heritage. National Ceviche Day is celebrated every year on June 28th. 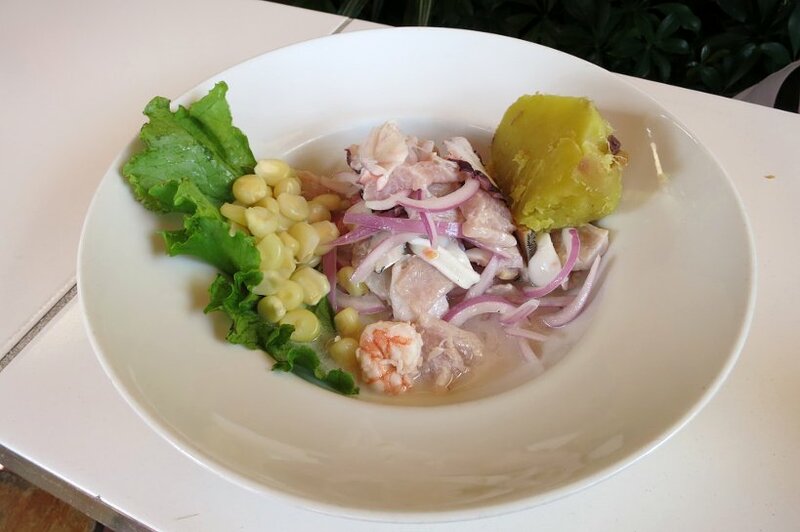 It is said that Ceviche evolved from a dish that was brought to Peru by Moorish women accompanying Spanish conquistadors. 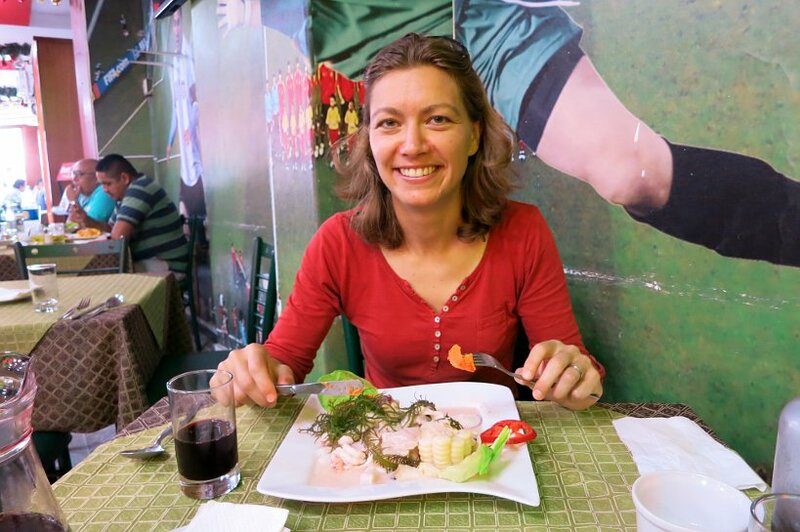 When you travel to Lima, Peru, if there is one thing not to miss is the Ceviche. With Lima having so many eateries and us wanting to have an authentic experience outside of the 5 stars restaurants, we asked locals to tell us where the locals go to get good Ceviche. We got some great tips from local limeñas (female natives of Lima); our airbnb host Patricia as well as our friend Cecilia, a gastronomy critic in Lima. 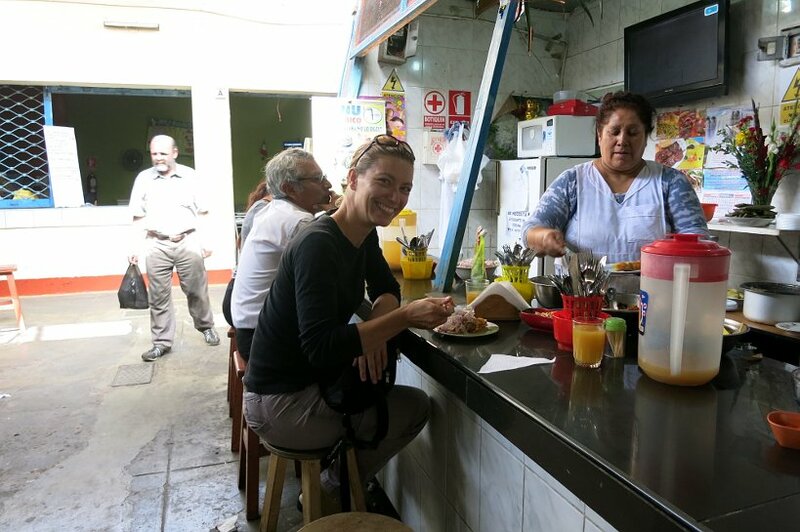 That is how we learned that Lima has four different kind of eateries: restaurants, huariques, mercados and street food. We tried Ceviche at each of these different places. 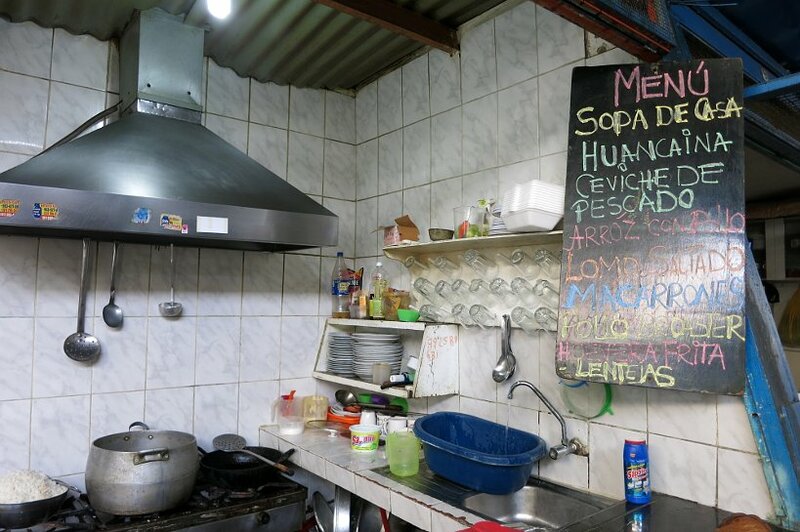 We chose a more local feel rather than trying Ceviche at the most well-known places in Lima. However, we plan on visiting additional cevicherias and we will update this list in the near future. Restaurants in Lima are not much different than typical restaurant elsewhere. They are comfortable places where you sit down and meals are prepared to order from a menu. 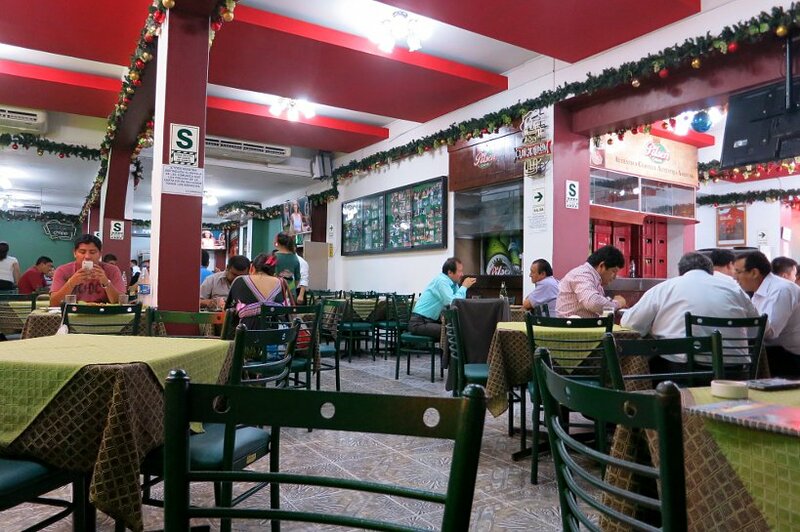 In Lima, restaurants are usually places that are upscale in prices and feel. 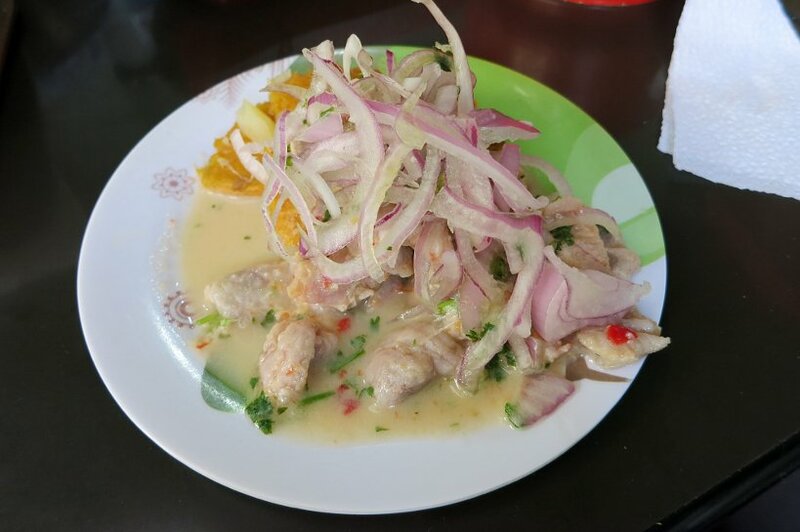 To experience Ceviche at a restaurant, it was suggested that we should visit Cervicheria El Mordisco, a popular restaurant in the Lince distrito or district, where we are staying. In the gastronomy capital of South America, you can find very high-end restaurant offering meals for five to ten times the prices of a meal offered in the market. However, between the markets and the restaurants you will find another set of places to enjoy Peruvian food. These are called Huarique. A Huarique also spelt “warique” is a type of family restaurant that offers traditional food and typical dishes from the region. They are typically not fancy places, but rather eateries where ordinary people can enjoy a simple, home cooked meal. They are also somewhat secret places that are not advertised. People learn about them via word of mouth. Huarique, although a Spanish word, comes from two words of the Quechua language. “Wa” which means hidden or secret, and “Rique” which means a stew. Hence a secret place that serves good food. Indeed the dishes served are typical and tasty home-made meals. 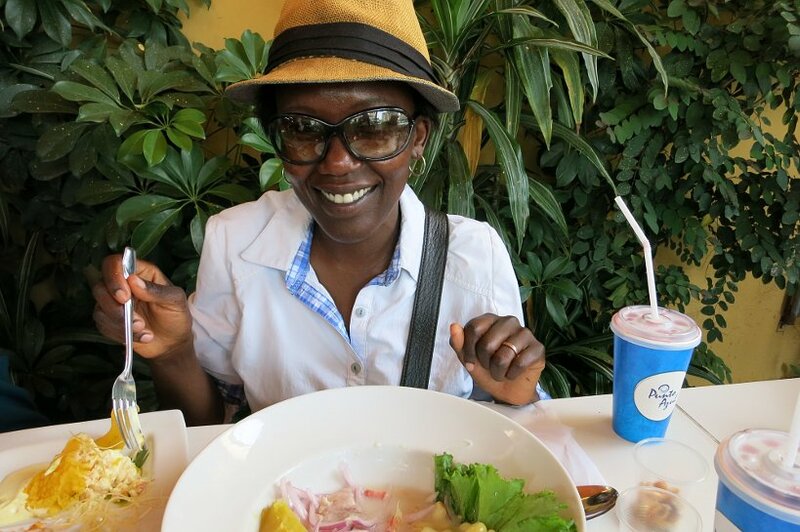 To experience Ceviche at a Huarique, we went to Punto Azul, a place recommended by our friend Cecillia. 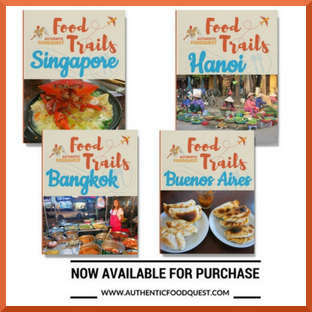 As we highlight in our free ebook, “The 5 Best Ways To Find Authentic Food While Traveling” farmers markets or mercados are great places to get local and authentic products. 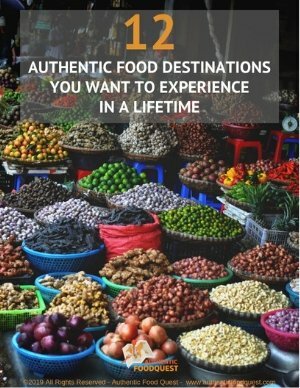 Not only are they places to learn about the fruits and vegetables that grow in a country, they are also great spots to enjoy authentic meals. The markets in Lima markets validated this point. The markets we visited all had great places to try ceviche. However at the market, don’t expect nice seating and well presented menus. You may need to seat on a stool and eat your food on the counter, which is actually an ideal place to see how the food is being prepared in front of you. Usually, the menu is on a chalkboard and dishes might get erased as they become unavailable. Menu are very basic and they include: appetizer, main meal and a drink (refresco) which is either agua de pina (pineapple juice), maracuya (passion fruit juice) or chicha morada (purple corn sweet drink). We enjoyed ceviche at several stalls at different farmers market in Lima. Two of the popular market to experience ceviche in Peru are Mercado de Surquillo and Mercado Central. Check at the end of the post for the locations addresses. Street food is very common in Lima and your best best is to line up near a street vendor with long lines of locals waiting to order their food.They are many types of street food vendors and the most common are the ones selling: emoliente (soothing and medicinal drink), Anticucho (Quechua word for cut stewed meat which may consist of chicken, beef or heart), Mazamorra arroz con leche (rice pudding with purple corn), and sandwiches. They usually either have a cart or a little truck where they prepare the food. While we were in Cusco, we were intrigued by a little Cevicheria truck that would show up at lunch time everyday (except weekends) and sell Ceviche from the back of the truck. 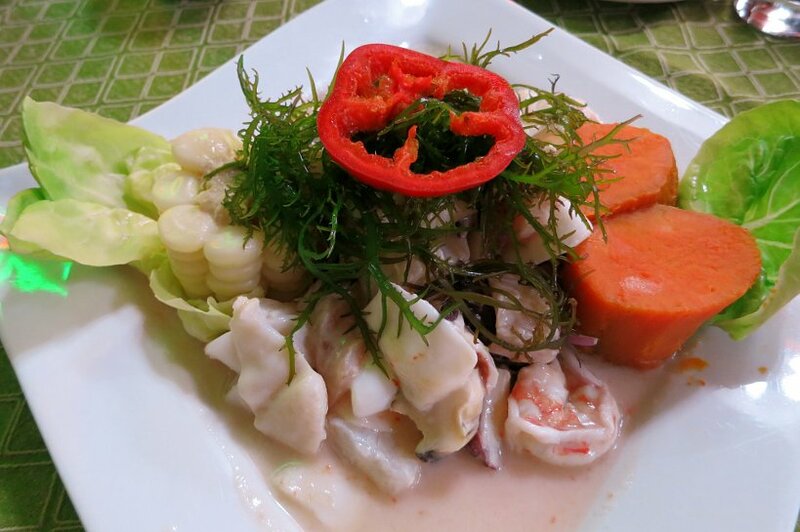 Knowing it was Peru’s favorite dish, we took a leap of faith and ordered the ceviche. Ceviche is essentially a raw dish that consists of fish soaked in citrus juices such as lime and spiced with chili peppers. There are just 5 ingredients in the national dish of Peru: raw fish, salt red onions and ají, Peru’s unique line of chili peppers, all doused in lime juice. The acidic liquid ‘cooks’ the fish and changes the proteins in the fish making it firm and opaque. The marinade is called leche de tigre (tiger’s milk). 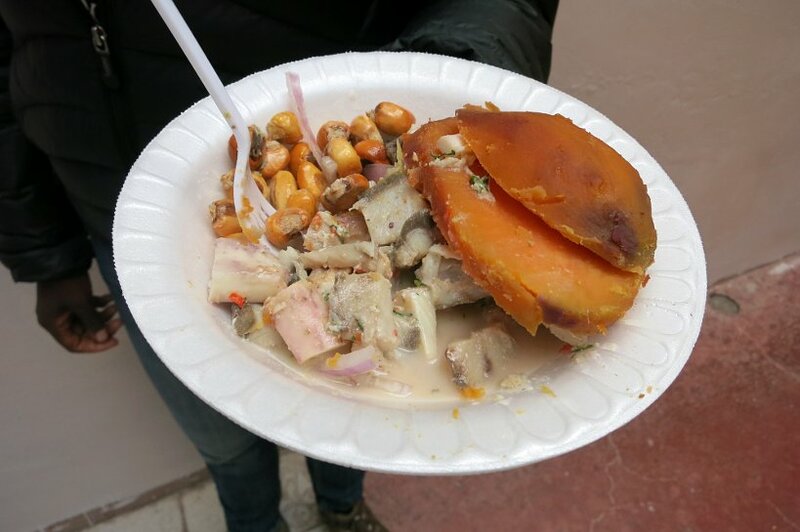 The ceviche in Peru is generally accompanied by camote (sweet potatoes) and choclo (large, white Andean corn), which are both native to Peru. Ceviche is traditionally eaten at lunch, when the fish is most fresh. Everywhere we ate ceviche was incredibly busy and full. 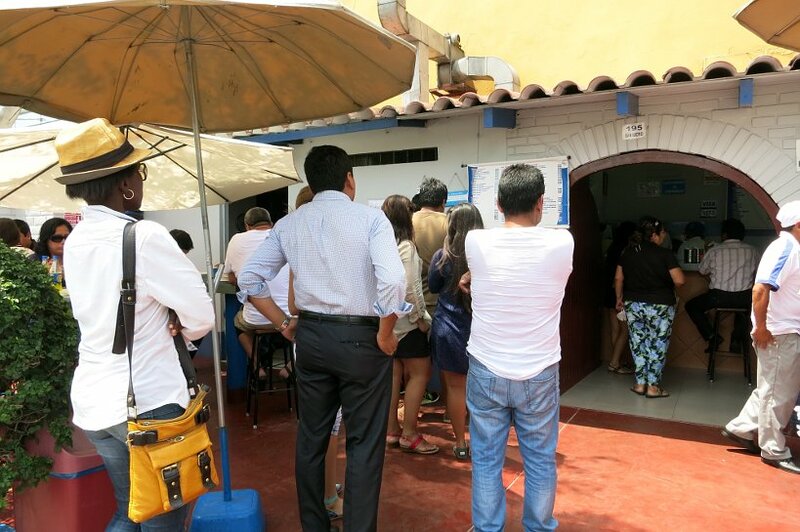 Limeños (people of Lima) are crazy about Ceviche. In Peru, people eat an average of 44 pounds of fish every year compared to just 16 pounds in the U.S.
We had Ceviche prepared in two different and popular ways: Pescado and Mixto. The Pescado is the traditional mix of thinly cut slices of fish. The Mixto has the fish and the addition of squid, octopus and scallops. Wow! is what we said every single time we tried ceviche at the various eateries. We were blown away by the high quality fish and the combinations of flavors. It didn’t matter if we were at a restaurant or at the mercado, the fish and seafood was incredibly fresh and some of the most delicious seafood we have tasted. The onions, limes and spices gives it a tangy bite and that’s where the unique sweet taste of the camote comes into play. The sublime mix of flavors is incredible. It is understandable why this dish has it’s own national day. A trip to Lima would not be complete without indulging in an authentic Peruvian Ceviche. 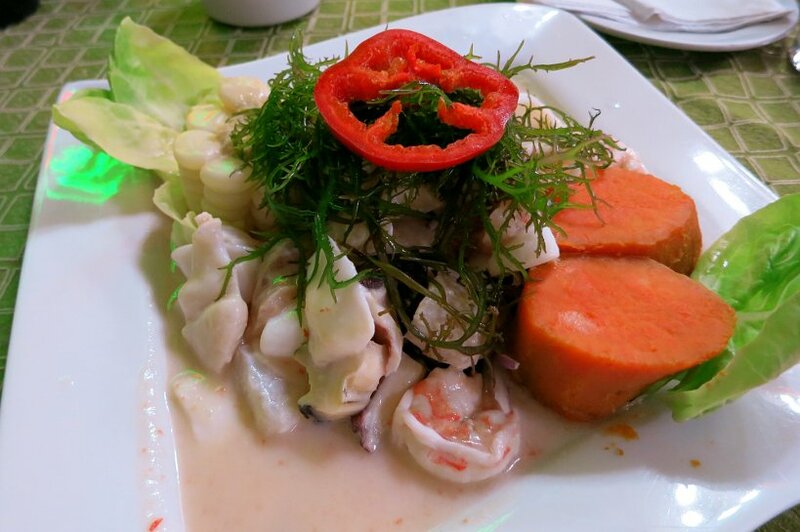 If you find yourself in the capital of Peru, try Ceviche at the various types of eateries. 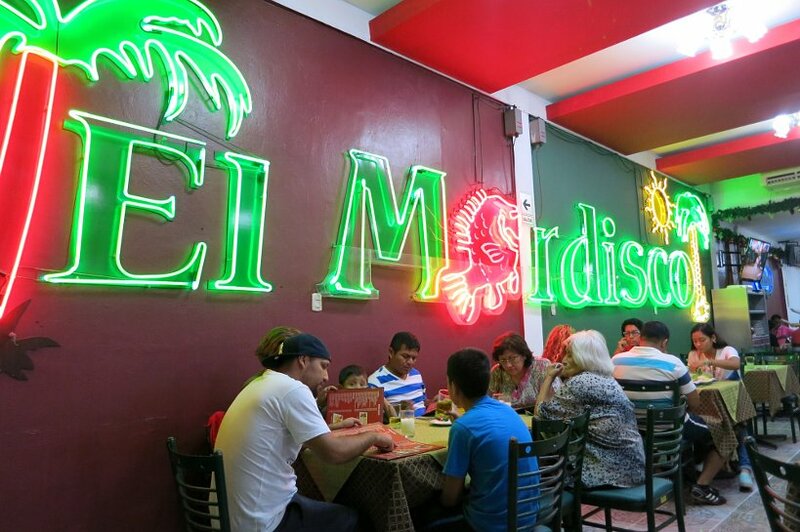 Enjoy the experience outside the traditional restaurants in the popular neighborhoods. Check out a Huarique and pull up a bar stool at the Mercado. You may surprise yourself when you taste the high-quality fresh fish in unsurprising places. El Mordisco, Av. Petit Thouars 2631 – Lince, Lima. Punto Azul, Esq. Javier Prado con Petit Thouars, San Isidro, Lima. Mercado de Surquillo, Paseo de la Republica block 53, Surquillo, Lima. Mercado Central, cnr Ayacucho & Ucayali, Lima Centro, Lima. Do you like Ceviche? Tell us the best place you’ve had ceviche. Share your comments below. What a very informative article about Lima. I have never been outside of the U.S. so I learned a lot. I would love to try Ceviche one day. Thank you Mary! Glad that you found the article informative. You might be able to try Ceviche in your home area at a Peruvian restaurant. If not available then at a Latin American restaurant. Enjoy! Great….another huge lover of Ceviche. Good to know what it is called in the Philippines. Most of the ceviche we’ve had in Lima actually does not use salmon. It’s mostly white fish or seafood. In any case, it’s all delicious! Now for a very geeky question: do they make vegan ceviche anywhere? Looks delicious! Hi Amelie….what a great question. Ceviche is essentially raw fish and seafood. Is there vegan ceviche…don’t know!! Great question for the community…does anyone out there know if there is a vegan ceviche??? Thanks Anna for letting us know about vegan ceviche! We’d love to try the Artichoke hearts ceviche 🙂 Hopefully we can get to connect with you in Australia in the near future. I have to admit, the idea of ceviche freaks me out a little bit. It’s fish! Uncooked fish! But I’d be willing to give it a try in Lima. I think whenever you’re a bit hesitant about trying a dish, you should have it where it’s best known – chances are, it will be good. Peru is on my “possibles” list for next year! And not just for Machu Pichu. I’ve been hearing more and more about the amazing food. Now I will know to try the ceviche. I love it where I live in Mexico, but this sounds even better. Thanks for the tips. Hi Donna, thanks for your comments. 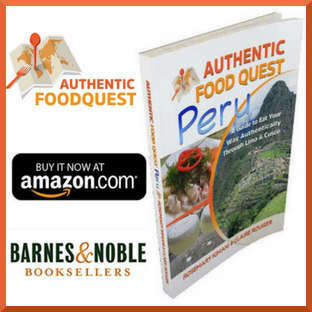 It’s true Peru is becoming more well known for it’s food. 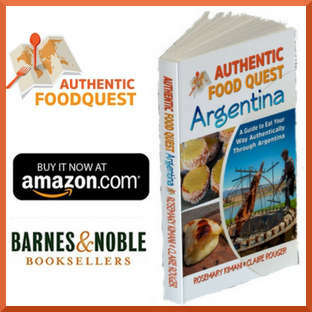 It’s the gastronomy capital of South America. Being here I can completely agree, the food, including the ceviche is delicious. 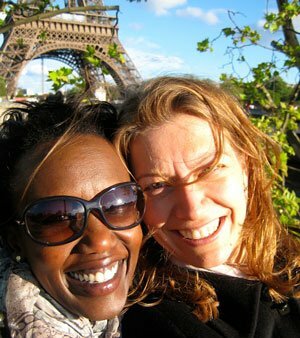 Don’t hesitate to reach out with any questions as you planning your trip. Cheers!! We both love Ceviche. We first came across it in Costa Rica. Yes, it’s a fairly popular dish there too! And so far every time it has tasted slightly different. Last we tried three different variations as an entree platter in Chile. Wow! What a first experience with Ceviche! Glad to hear that it became one of your favorite foods. You will not be disappointed with Lima; it has some of the best cevicherias. Yes, Peru is very proud of their Ceviche. You should definitively give it a try. The products and flavors in Peru are so different from what we are used to that you might get pleasantly surprised by some of the dishes. Thanks for your comment! Peru is located by the Pacific Ocean and therefore has fish readily available fresh and affordable. Definitively try it if you happen to visit Peru. Never heard any of these dishes… but your narration has given a virtual taste of them. It seems you had a great time at this Gastronomy Capital of South America. Thanks Himanshu! Yes we are having a great time here. We definitively recommend Lima for its gastronomy. I long to visit Peru and experience all of its culture and beauty but when it comes to Ceviche, I’m not a fan. I guess I’d have to give it a try but it would be with hesitation. Hi Lesley, Peru has so much to offer! You will find plenty of dishes beyond Ceviche. Though it is worth giving it a try if you stop in Lima or if you stay along the coast. The seafood is so fresh and tasty. If you are not comfortable having it at a market, you might want to try ceviche at a well known restaurant to be on the safe side. I love ceviche and I hear it’s amazing in Peru. I love how they use much bigger chunks of seafood then you normally see. Can’t wait to get down there and give it a try. Hi Megan, you will not be disappointed with the Ceviche in Lima. The fish and seafood are so fresh and the flavors delicious. Portions are indeed very generous and prices very reasonable. It is easy to splurge on Ceviche everyday in Lima! I’ve never had ceviche in Peru but I had it in Chile and I really enjoyed it a lot! Agree, the ceviche in Chile is just as delicious. The main difference we have found is the type of fish eaten. In either case, it is fresh and delicious! Yum!! Thanks for sharing. Doesn’t look like you can go wrong tasting ceviche from any of those wonderful foodie venues – everything looks so fresh and delicious I’m sure. Wise words Noel, delicious ceviche is found everywhere in Peru. Cheers! I love Lima, I even got engaged there years ago! 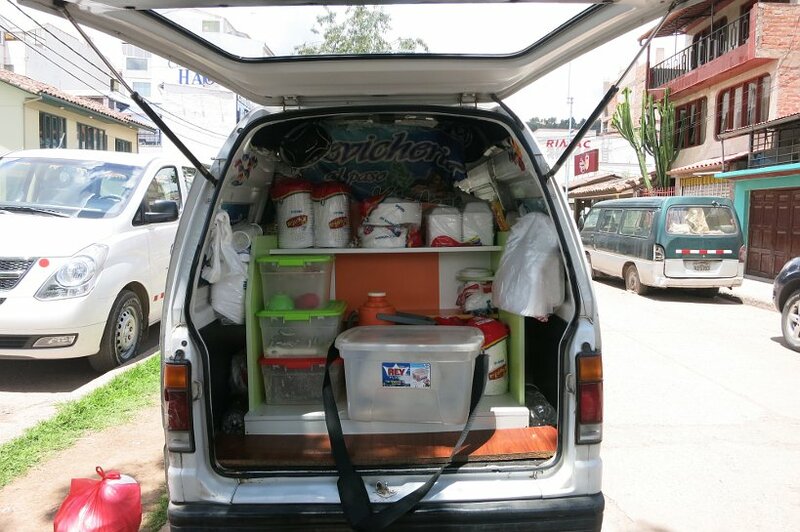 I can’t believe how much ceviche you ate there and that you even got it out of the back of a van! I like it, my husband more. We have eaten it in Mexico, Italy and Lima. Congratulations…that’s amazing. Was a plate of ceviche involved in that proposal? 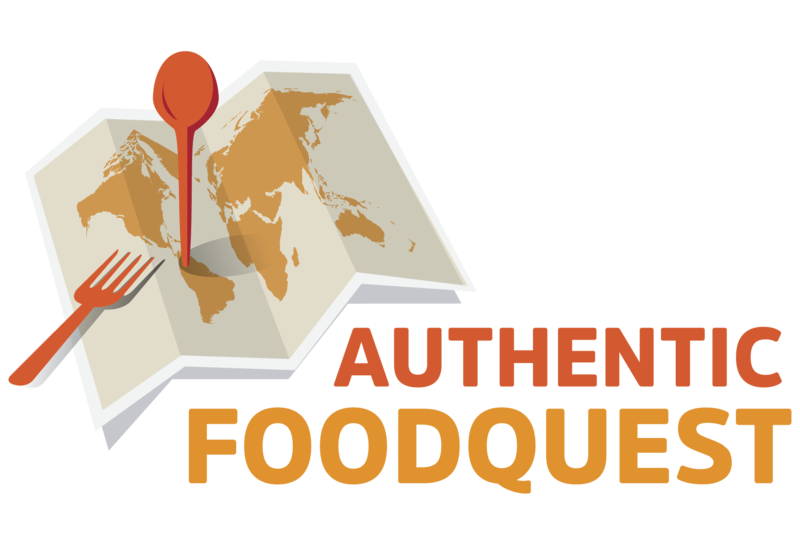 Awesome that you love ceviche so much that you’ve explored it around the world! Love to meet other ceviche fans!! Happy travels. That’s also the thing about booking airbnb accommodations, you get good advice from a local. Lima looks wonderful! You are so right, tips from the locals make all the difference. 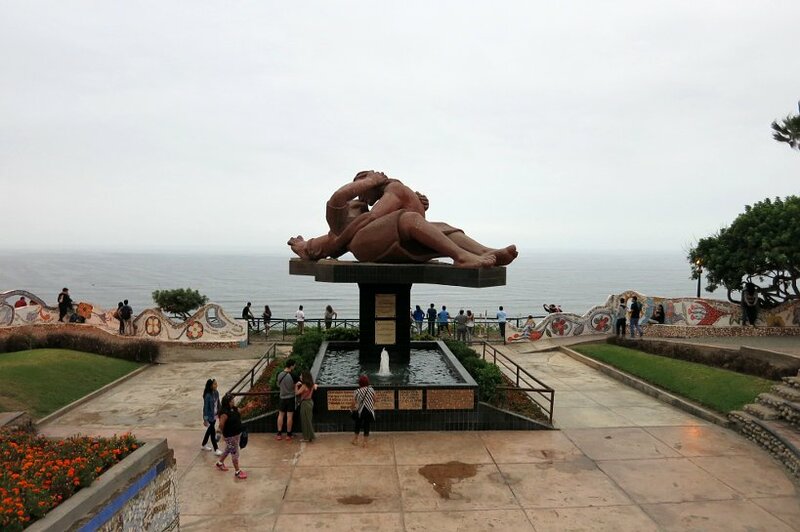 Lima is a wonderful city visit and one we would recommend if you have not been yet! Cheers. Ceviche is a favorite in all Hispanic nations. Since the Philippines was colonized by Spain for 300 years, the dish is also popular in my home country, especially with alcoholic drinks. You are right Carol, we discovered ceviche in the Philippines as well, where it is called Kinilaw. I found the taste different from the ceviche in Peru, but I enjoyed it as well. Indeed a great drink with ceviche is the perfect combination 🙂 Cheers! This is an awesome post! We had some delicious ceviche while lounging on the beach in Mancora but I don’t remember any memorable ceviche spots in Lima – really could’ve used your blog when I was there a few years ago! I’ve got to try to make it to Peru someday for National Ceviche Day – add a Peruvian white wine and I’ll be happy as a clam all day long! Oh that’s too bad you don’t recall any memorable places for ceviche in Lima. On your next trip, take this article with you and enjoy ceviche in the different eateries. Agree, we would love to visit on National Ceviche Day as well. That would just be a lot of fun. Thanks for stopping by. I’m so sorry to hear that you got ill in Peru. We ate all over the country and were fortunate not to get sick. Fingers crossed. 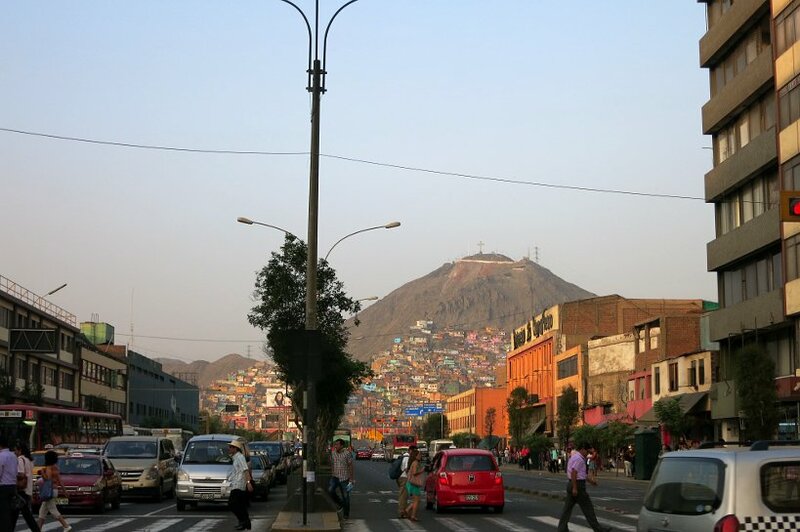 The next time you are in Peru, explore the neighborhoods outside of Miraflores and be prepared to be blown away. Thanks for stopping by! First of all, I find the names Lima and Peru itself so fascinating. They evoke images of an exotic and beautiful land. Loved reading this post as we usually do not get to see much about this part of South America. Coming to Ceviche it indeed seems to be an iconic and national dish of the country. The options for eating this dish are indeed mind-boggling. What I really loved about the dish is its beautiful presentation. Thank you so much, Sandy. Really appreciate the feedback. 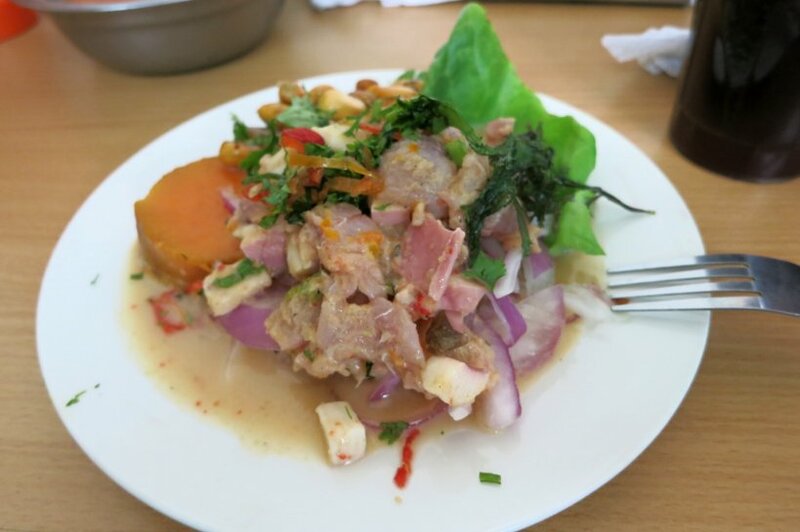 Ceviche is a national treasure in Peru and a beautiful and delightful dish. Hope you get to visit Peru at some point and explore all the cevicheria 🙂 Thanks so much. Awe! 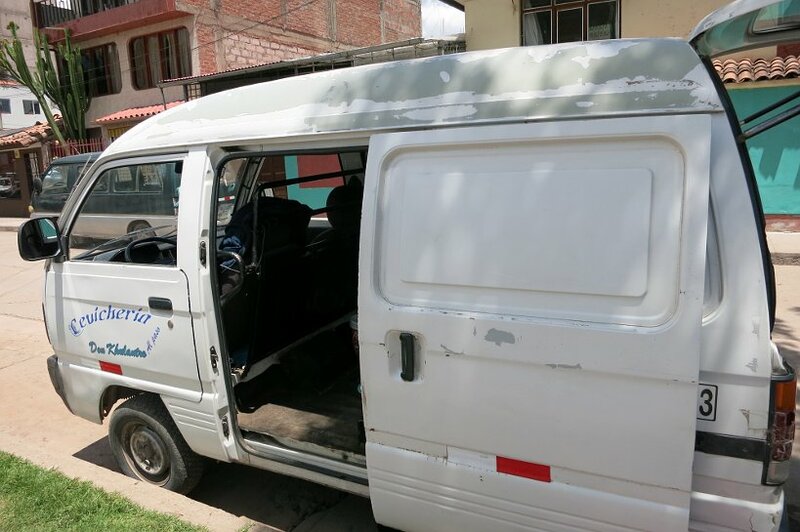 You’re making me road-sick for Peru! 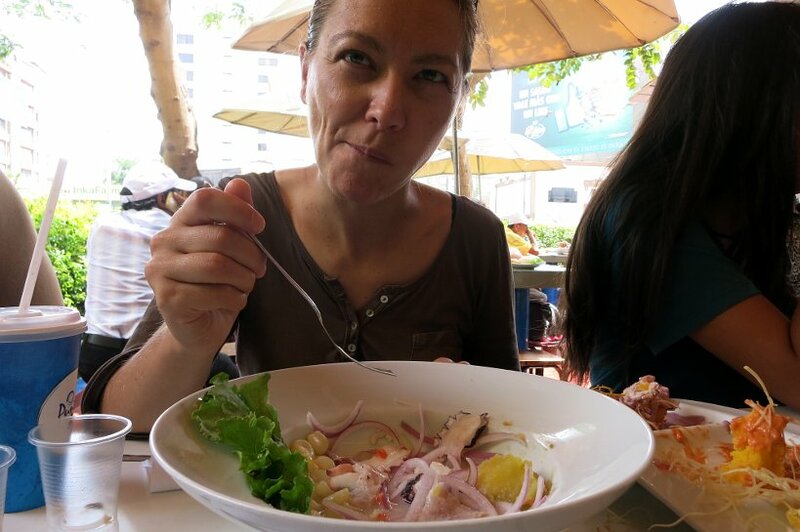 I’m so not an adventurous foodie, so ceviche totally intimidated me when I was in Peru. I actually tried cuy and llama (amazing for me), but never got around to ceviche. You’re making me realize that was a huge mistake. 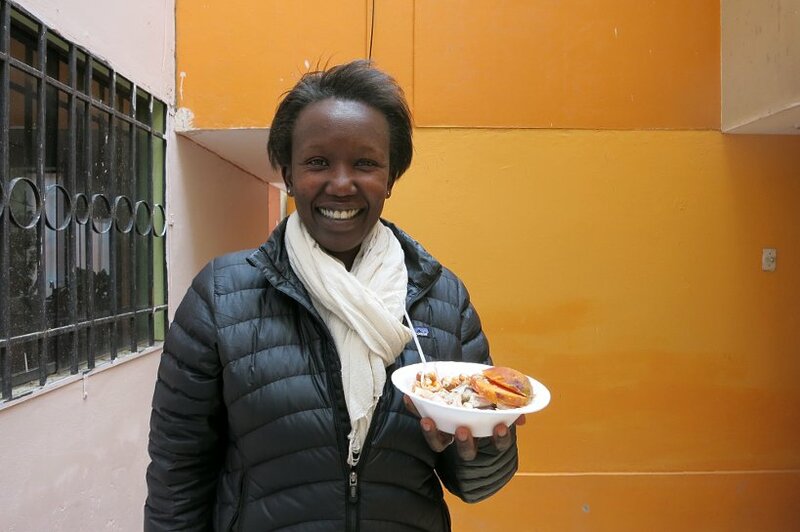 I totally agree with your tip that the best food is found in markets and on the street! Bummer to hear that you missed ceviche while you were in Peru. It’s interesting that you tried cuy before fresh seafood 🙂 A guess a trip back to Peru is in order. Indeed the best food is found in the markets on the street. Thanks, Paige. This is the first time I’ve heard someone compare Lima to Los Angeles. LA is one of my favorite cities, so I guess I have to check out Lima now! Good thing I’m a fan of ceviche, all that fresh seafood looks amazing. To be honest, only parts of Lima reminded me of Los Angeles. Specifically, the area overlooking the oceans. The fresh seafood in Lima is an experience and the city is worth exploring. You’d love it. Hope you get a chance to visit at some point. Thanks, Kim. That’s simply one of my favourite dishes! I had one yesterday and it was as good as always. Definitely a very special Peruvian speciality. Awesome to hear Pedro. Indeed, anytime is a good time for fresh ceviche!! A true delicacy. Thanks for stopping by! !